SimCity is so realistic. That’s probably why, in SimCity 4, you can mod in a vestige of our current surveillance state, 33 Thomas Street, New York, NY, which just today was outed as a probable NSA surveillance site. SimCity is all about managing the less convenient aspects of life. Road planning, earthquake management and government-sanctioned mass-scale privacy invasions are just a part of living. So why not just lean into it with your SimCity game? Right?? Code-named TITANPOINTE, which couldn’t be anything other than future fodder for a bad stealth/action game, the skyscraper has apparently targeted the International Monetary Fund, the World Bank, the United Nations and 38 other countries. The Intercept notes that several of these countries are allies of the United States. Maybe your SimCity game isn’t on the international espionage scale of things, but that’s where good ol’ imagination kicks in. 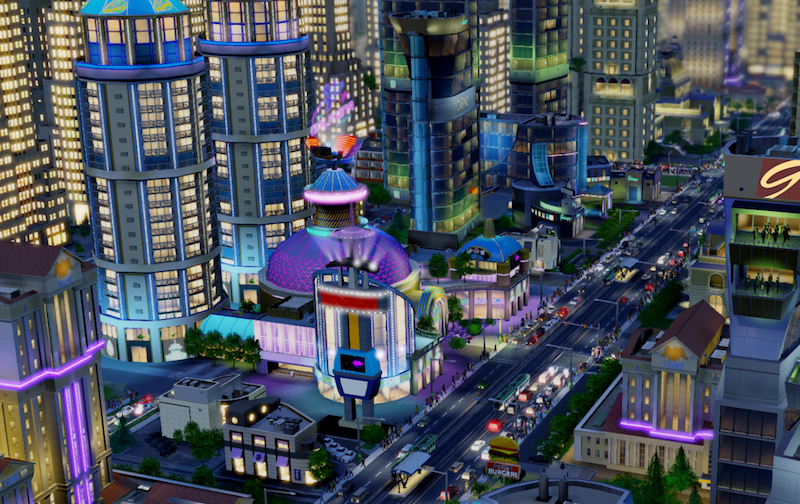 Will managing wire-tapping infrastructure be a feature in the next SimCity? In SimCity 4, the TITANPOINT building is unlit, “the darkest Skyscraper in New York.” Only 900 players have downloaded the virtual surveillance hub into their games, probably because they just don’t have anything to hide.